A compact cool bag that will take a two-pint milk carton standing up. 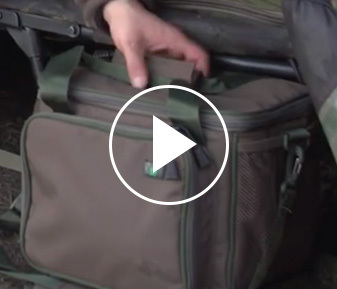 It has a foil-lined inner that’ll keep your food fresh on the bank, with elastic straps on the inside to stop its precious cargo falling over. External mesh pockets on either side allow easy access to essentials. The large front pocket is perfect for additional utensils which features a number of elastic loops to hold cutlery securely. Our compact Cool Bag has a foil-lined inner, elastic straps on the inside, external mesh pockets and a large front pocket for your precious cargo. 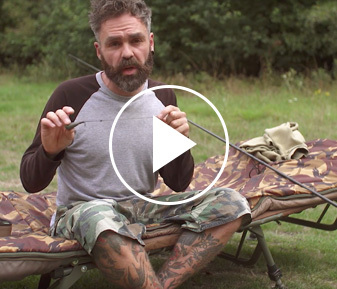 Follow Scott Lloyd as e ventures to Willow Lake, the mighty Stoneacre and heads back to Belgium, where the hunt for big unknown carp continues. Scott Lloyd leaves Christchurch and heads off to Belgium. There’s highs and lows with some incredible fish they find in the vast canals and a secret lake. 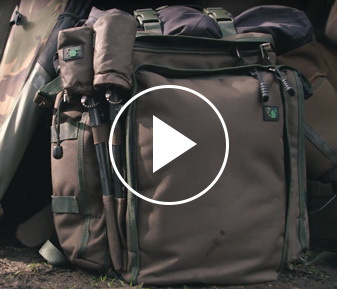 A compact rucksack, designed for short-session fishing, overnighters or even roving river trips. 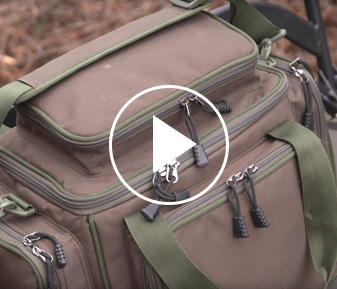 It’s packed with great features including well-placed internal pockets and outer bankstick holders. Follow Scott Lloyd through the first few days of an 8-day trip covering a tuition on the mighty Linch Hills, Christchurch Lake before heading to Belgium. We join Gaz Fareham on the banks of Junction-12 lake in Reading, where he talks us through how he uses the ultra-popular, Spinner Rig. 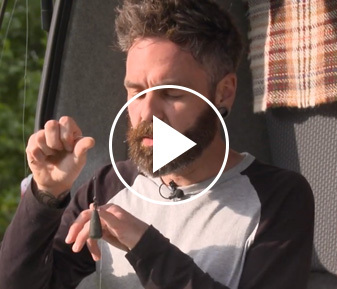 Gaz Fareham takes us through the lead arrangement he uses for 95% of his angling and talks through the various components and reasons for their use.